We have more than 40 years of combined experience. Click here to meet our cardiac team. Thank you for visiting LeConte Cardiology Associates, the office of Stephen Dill, MD and Roger Riedel, MD. It’s our mission to be a leading provider of cardiac care in East Tennessee by bringing advanced technologies and the latest treatments to our community so you can always get excellent care close to home. We perform procedures at LeConte Medical Center and are a proud member of Covenant Health. At LeConte Cardiology Associates, we provide excellent cardiac care for the prevention, diagnosis, and treatment of heart disease. Click here for a complete listing of our cardiac services. At LeConte Cardiology Associates, our patients deserve excellent care. That’s why we pledge to put our patients first every day, and strive for excellence in everything we do. Not a patient? We want to be your heart care team and are accepting new patients. Call (865) 446-9575 to make an appointment. We take care of your heart by preventing, diagnosing, and treating heart disease. Click here for more information. 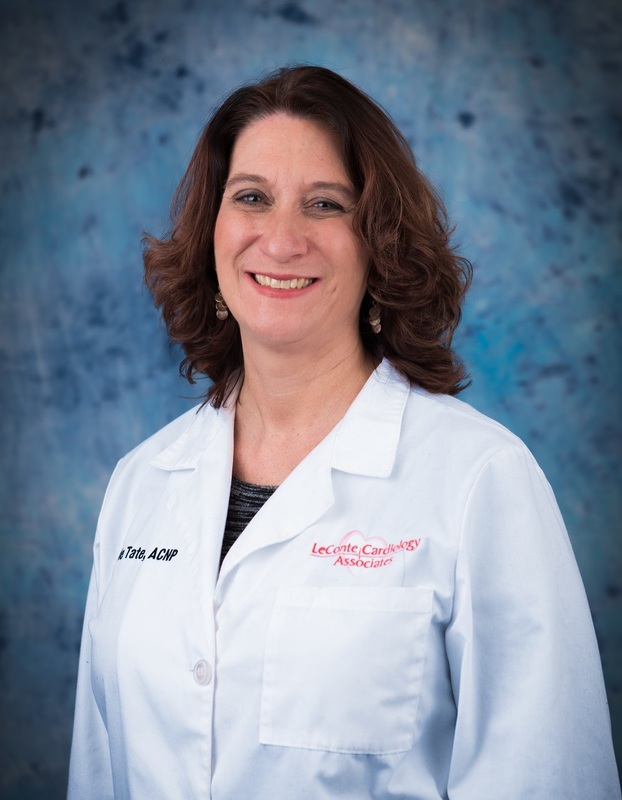 LeConte Cardiology Associates is proud to welcome nurse practitioner Lorrie Tate, NP to our heart care team. Learn more about Lorrie. Find more articles like this on the LeConte Cardiology Associates blog.